zomg my first lot upload, enjoy the outcome of my painfully hard work with super-duper details! 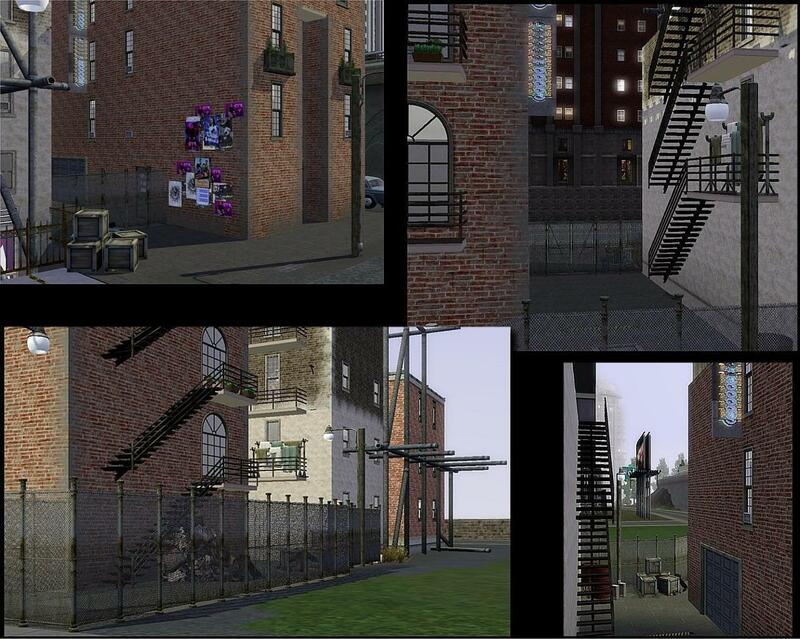 When we went to New York for a holiday, our cab driver asked us whether we had given him the right address when he pulled in front of a building that looked exactly like the one in the middle.. New York is amazing in all of it's dirtyness and weird impractical stuff, so let's have our sims enjoy some of it too! 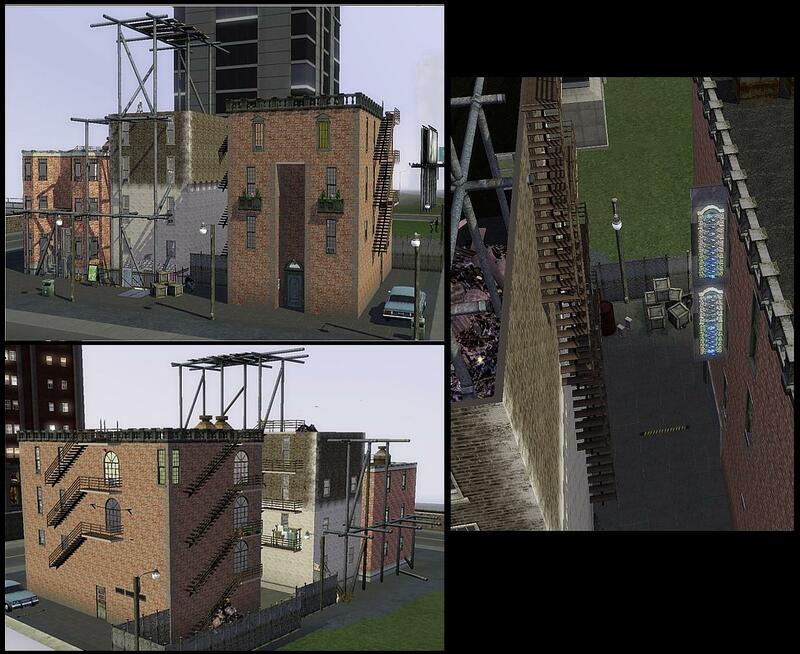 The lot has three buildings, which the shortest and the middle one are just basically deco-buildings only. 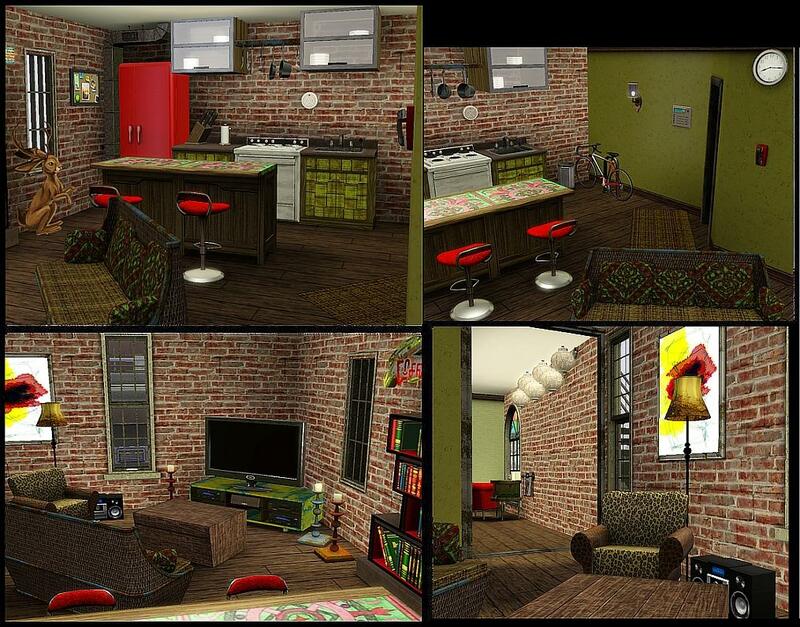 The taller red bricked includes a groovy apartment, and a storage space that can be used as a space for band practices and parties, or as artistic studio or whatever you want and need for your simmies! The apartment has an elevator that goes to two floors. 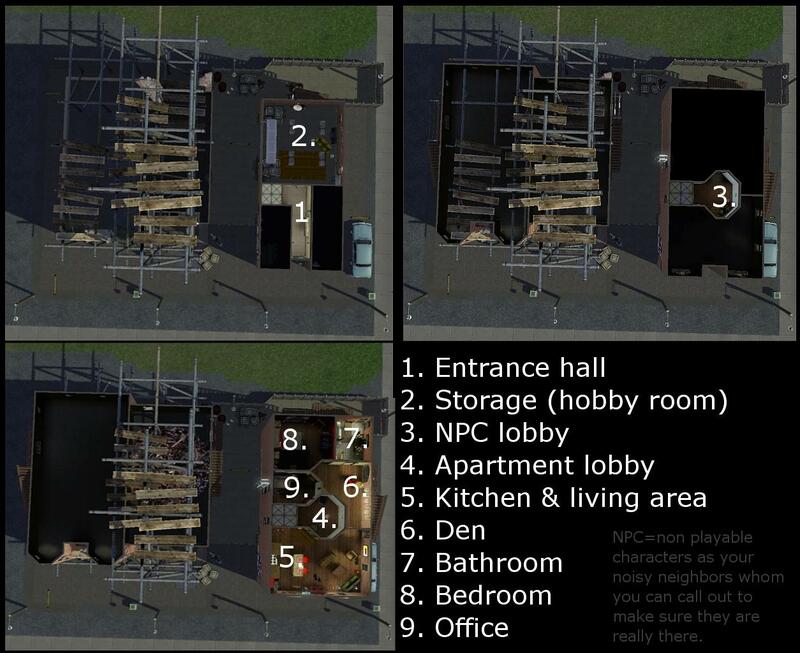 The other floor is for NPC characters and the other for your simmies. The apartment is decorated in groovy city style, and it has one room that is currently used as an office, but it can easily be changed into an extra-bedroom. There's also the iconic fire ladder thingies that you see everywhere in NYC, but they obviously are just deco so don't forget the fire alarms. There are also 4 parking spaces. The other deco building is a house under heavy renovation, but in the ground floor is a guitar shop. 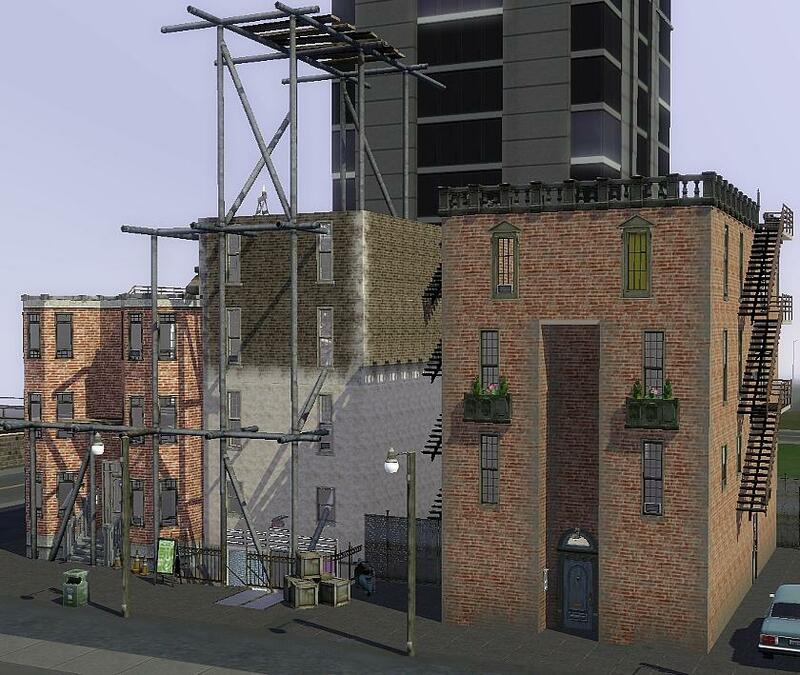 The other building is purely decoration only, and your sims can't enter neither of them not even by mistake, so they won't get stuck there or anything. 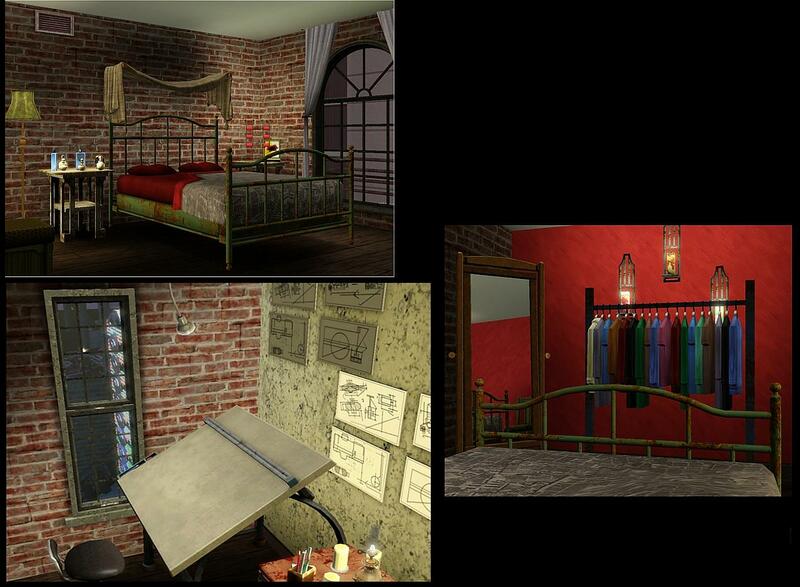 I've used decoration objects from WA and couple of AMB objects, so the lot works okay without the two EP's, but you'll lose a lot of the details of the outside. Late night is a must though, the lot isn't meant to be run without it, so don't even try it! 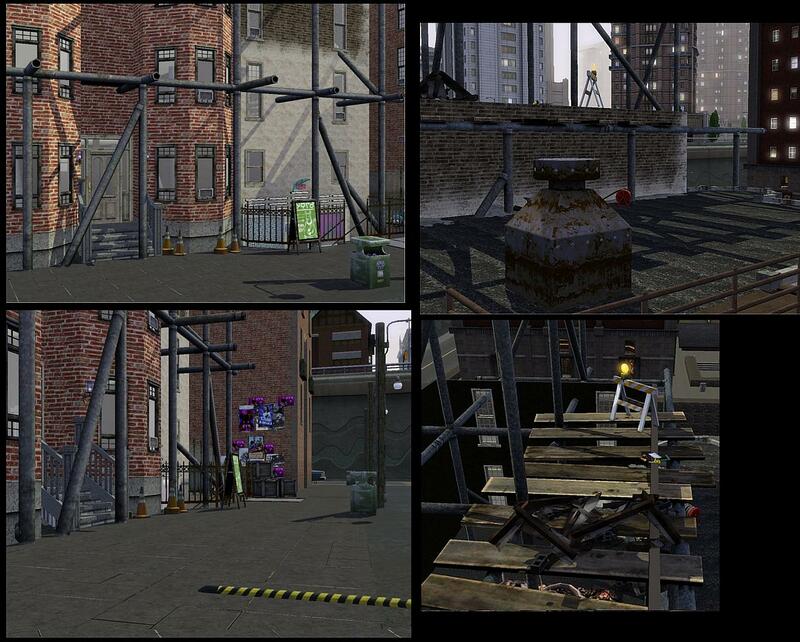 I have used codes while building, so be careful not to remove parts of the buildings (like the fire stairs, elevators..) since you won't be able to get the as they were if you aren't experienced in using codes in build mode!